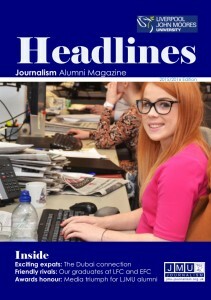 The Journalism department at Liverpool John Moores University has unveiled the inaugural issue of its new alumni magazine. 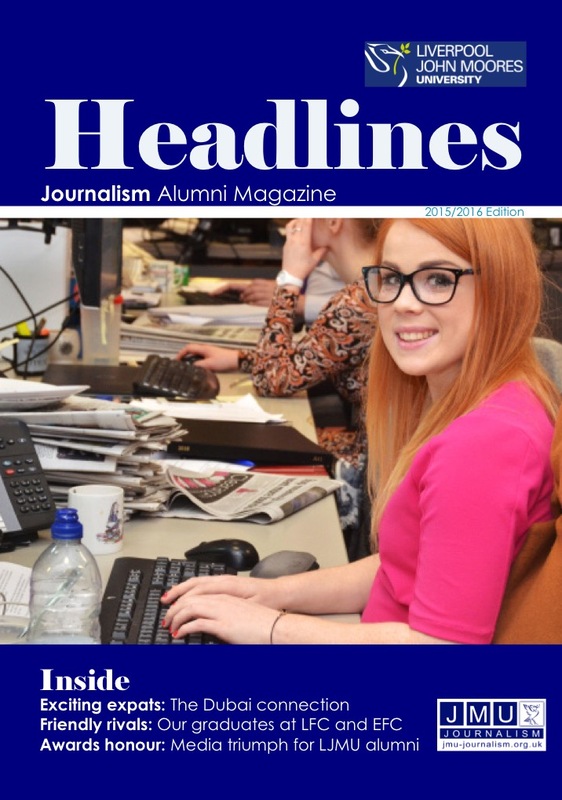 The publication, entitled ‘Headlines’, showcases the success of a number of past LJMU Journalism graduates who have gone on to do well for themselves in their careers. Headed up by Kate Heathman, a senior lecturer at LJMU, the team included students Hannah Rogers, Emily Curren, Rochelle Beighton, Beth Hughes, James Gamble, Elle Spencer and Nathan Burgess. The 20-page magazine includes interviews with students who have gone into the journalism industry, working at companies such as The Liverpool Echo, OK magazine, ITV and the BBC. But that doesn’t include those working in far more unusual places, Chester Zoo for example, as is the case of graduate Will Condliffe, who jokes about having a view of gibbons and orangutans from his office window, or comedian Alex Brooker, who has hosted television programmes such as The Last Leg and The Jump. 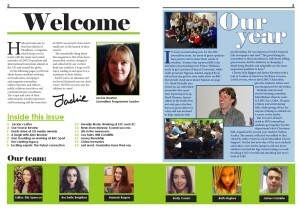 The students who worked on the magazine hope it will serve to inspire future journalism students and highlight what graduates of the course can go on to achieve. Headlines team member and third year student, Beth Hughes, said: “It was reassuring to see how graduates from the course had done so well. I actually feel less worried now about getting a job after uni. The magazine is now available on Issuu.com and will be distributed to current and prospective students, along with alumni and other members of the journalism community.